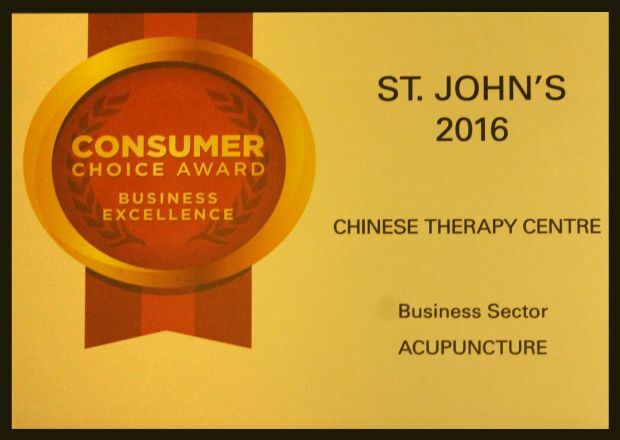 Improve your health and increase your comfort with specialized treatment from the Chinese Therapy Centre, St. John’s first traditional Chinese medicine clinic. Dr. X. Hong Liu opened the centre in 1994 and specializes in the use of acupuncture and herbal medicine for the treatment of the common cold, soft tissue injury, arthritis, pain management and other chronic conditions. Xiao Hong Liu of Chinese Therapy Centre is an authorized provider of acupuncture services for VAC, CAF, RCMP and injured workers, authorized by the Blue Cross and the WorkplaceNL respectively. Are you looking to lose weight or quit smoking? Are you struggling with depression or anxiety? Dr. Liu, with over 25 years of experience in China and Canada, can help. The Chinese Therapy Centre is committed to treating your specific ailment and improving your overall well-being. Dr. Liu introduced Chinese acupuncture to Newfoundland and her treatments have proven to be very effective for patients of all ages. She welcomes you to visit or call for an appointment! Dr. X. Hong Liu of Chinese Therapy Centre is the 7-year winner of the Consumer Choice Award in the Category of Acupuncture in St. John’s since 2012.